Advocate Mathew Nedumpara, who moved Supreme Court for Justice Karnan against the 9th May contempt order, has released a press release on Saturday and clarified that the media reports that he sought to tender an unconditional apology on behalf of Justice Karnan before the Supreme Court, are totally wrong. The true and correct fact is that the matter was mentioned 3 times before the Honble Supreme Court: on 11.05.2017, at 4.00 pm and on 12.05.2017 at 1.00 pm, and 2.00 pm. The Registry of the Supreme Court allows only two types of filing: 1. As Party in Person; 2. Through Advocate on Record who is on registered on the rolls of the Supreme Court as an advocate of the Supreme Court of India. The Computer System does not allow any 3rd kind of filing. Hence the matter was to be specifically mentioned before the Hon’ble Chief Justice. There were two Petitions presented before the Honble Supreme Court: 1. An Application for Recall of the Orders of conviction and sentencing 2. A substantive Writ Petition under Article 32 of the Constitution of India, challenging all the orders passed against Justice Karnan, as well as collaterally challenging the constitutional validity of the entire Contempt of Courts Act itself. As these Petitions are neither represented by an Advocate on Record of the Supreme Court of India, as no such Advocate on Record was ready, nor by the Party in Person, the matters had to be mentioned so that the Registry is directed to take on record these Petitions. Accordingly on 11.05.2017, at 4.00 pm both the Petitions were mentioned. During the Mentioning, as an important ingredient, it was pointed out before the Honble Court that, “assuming that the Petitioner is ready and willing to tender an unconditional apology, the statute prescribes such an opportunity even after conviction of the accused in a case of Contempt. However, in case of Justice Karnan, even such an opportunity was not given, as orders were to immediately arrest Justice Karnan.” This was without notwithstanding the legality to even prosecute Justice Karnan a sitting High Court Judge. 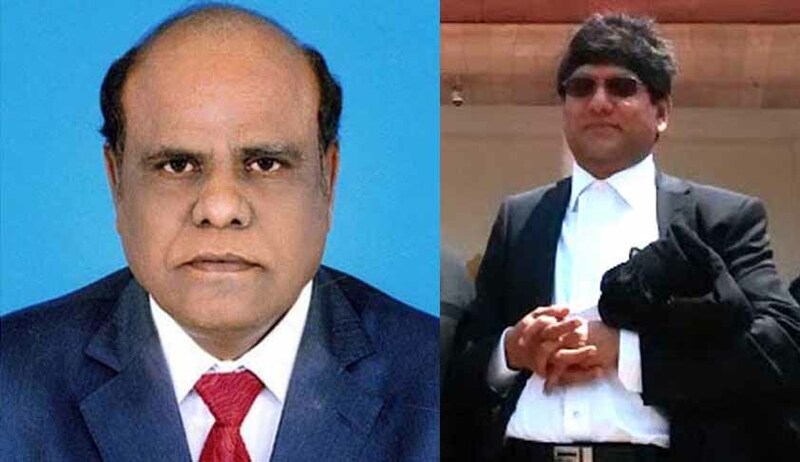 I as a counsel for Mr. Justice Karnan sought to canvas the magnitude of the injustice that was meted out to him by inter alia pointing out to the Honble Court that, not a single advocate out of the total of over 30 advocates on record of the Supreme Court of India contacted, were willing to file Vakalatnama on behalf of Justice Karnan as they believed that doing so would invite the displeasure of the Honble The Chief Justice of India. Nonetheless, for purely technical reasons the matter had to be mentioned again on 12.05.2017, as, on 11.05.2017, during the first mentioning, only the Recall Application was tendered in original before the Hon’ble Bench, and of the Writ Petition, only a copy thereof instead of the original was submitted due to oversight. Hence, the matter was again mentioned on 12.05.2017 at 1.00 pm and 2.00 pm respectively to issue fresh orders to the Registry to take on record the Writ Petition too.